Content marketing is not just a passing trend, it is here to stay. Even those convinced of its utility might object that it is not right for them because they see it as expensive. While this perception is not un-founded (Coke and Redbull, two content marketing luminaries, have budgets in the millions), money is not a prerequisite for a quality content marketing strategy. If you follow a well thought out plan and adhere to it diligently, you can succeed at content marketing on nearly any budget. This article will help your business lay out a cost effective content marketing plan, explaining the reasoning and theory behind my recommendations. Before beginning to develop your content plan it is first necessary to take stock of where your content stands. There’s a fairly good chance this may not be your company’s first attempt at a content strategy. After all, according to HubSpot 62% of companies have a blog of some sort and according to IBM, nearly 80% of these blogs have five posts or less. Put plainly, there’s a 40% chance your company has already tried and failed at gaining any real traction with content, and it’s now your job to pick up the pieces. The first step to doing this is to assess the state of your company’s existing content as well as its ability to mobilize and produce more content of substance. I recently wrote a piece for Digital Current outlining how to perform such an audit, but I’ll highlight the parts relevant to our discussion here. The first step of a content audit is to go back into your company’s archives and forgotten blogs and consolidate all existing content into a single spreadsheet. Doing this might give you something to work with and at the very least can provide you information about what hasn’t worked. Once you consolidate, the next step will be to perform a SWOT analysis on your organization as it currently is structured. Oftentimes content initiatives fail because those who devise them think they can sprinkle these initiatives on top of an existing organizational structure and that it will magically work. 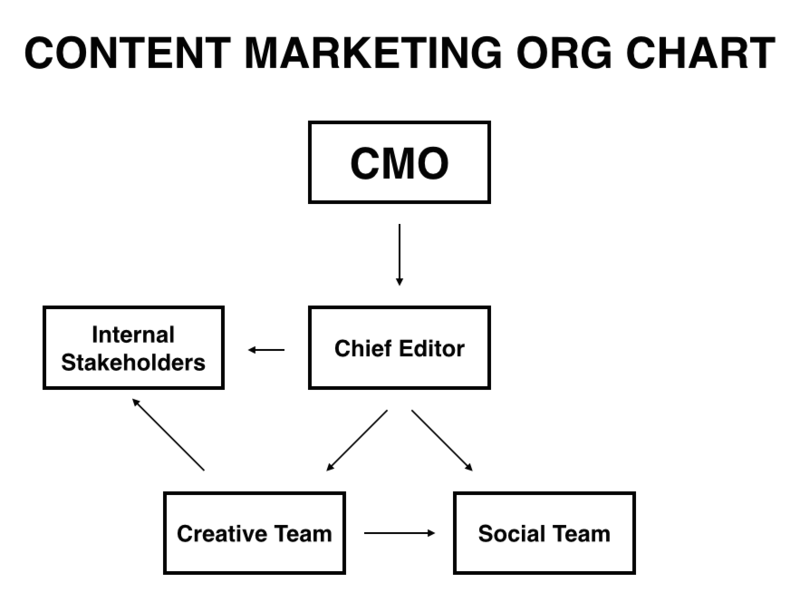 As I just mentioned, content marketing cannot be simply assigned to your existing team, it requires creation of new roles and a new organizational structure. Effective content marketing requires the cooperation of so many separate stakeholders that it should be treated as its own division within the business. Having your content team act semi-autonomously will allow them to make quick decisions and adapt to changing circumstances more effectively, as they work side by side with the rest of your team. It will also allow you to evaluate their performance as a distinct entity. Like any good business, this team will also need a unified mission. When crafting this mission make sure it is something that is both specific to the scope of content creation, and also related to the overall mission of the company at large. A great example of this is American Express’s content division called Open Forum. Not only do they appear to operate separately from American Express as a whole, their mission also appears to be tailored specifically to the content. Instead of mentioning anything about credit cards, they instead focus on helping small businesses grow. While the goal of educating consumers about small business finance might be aligned with American Express’s broader mission, their content is distinct from the overarching business and aims to be helpful in its own right. This content division can be one person owning all content marketing at your organization if you’re a small company or an editor managing a team focused on content, either way it is important to understand who has ownership of content marketing at your business. Once your content division settles on a mission, you then need to set strategic goals to help define your objectives. The goals you should aim for are the ones that align your mission as a content creation and distribution team with the broader goals of the business. For example, using content as lead generation like American Express does incentivizes their content team to create compelling content that also generates further interest in their product, based on the interests and challenges of the small business audience they are trying to reach. Due to the fact that content rarely directly translates into sales, you need to get creative with the goals you set and how you go about measuring and optimizing these goals to ensure they are aligned with the types of content that resonate with your particular customer base. One way to ensure that your goals are easy to track is to base them on distinct key performance indicators or KPI’s like increased conversions, social sharing, more time spent on site and other metrics that are an objective and clear way to determine success in engaging your audience. As Heidi Cohen, Chief Content Officer of Actionable Marketing Guide, points out. Content marketing doesn’t exist in a vacuum. Often the most neglected aspect of content marketing that a business fails to consider is what happens after the prospect finds and consumes your content. In other words, how do you convert her into a lead or sale. For most businesses, content marketing is only the first step. At a minimum, you must ensure that you have the elements in place to complete the sale. This holds whether you’ve got a B2C, B2B or not-for-profit. To remedy this common mistake, Heidi recommends making sure you include, landing pages, emailing to convert prospects, purchase process, sales support and post-sales support. Your KPI’s should follow the SMART framework (Specific, Measurable, Actionable, Relative, Time-Specific). Not only does this help guide your efforts, but it allows you to test and make changes on the fly. Especially when you are first starting out, being able to have a broad understanding of what is working and what is not can save you time, effort and (most importantly) money. Armed with a mission, strategic goals and an understanding of who your customer base is, you can begin to devise a detailed content plan. The first step to doing so (which we already covered) is to take stock of any content you already have and identify if there is anything usable and/or if any previous successes indicate topics your audience might find interesting. Once you have a sense of where you stand, you can start to identify ways you can set your content apart and target this differentiated content effectively. Check to see what your direct competitors are doing and what is getting a response. Try to learn from their success and put your own spin on it. Having a clear mission and strategic goals will help you come up with potential topics to cover and also give you a sense of what could work to reach your audience and compel them to take action. In addition, adhering to your unique goals will help differentiate your content and provide compelling value as compared to others producing content in the industry. After brainstorming potential ideas, it is important to sit down with an empty calendar and plan out your content. According to Kapost, 56% of content marketers don’t have a documented content strategy. While it is difficult and time consuming to plan your content strategy out to the day, you will find that it saves you a great deal of effort in the long run. Not only will a clearly defined editorial calendar keep you and your team on the same page. It will also allow you to plan around certain key periods for your business, and let you size up your content strategy at a glance. When deciding to pursue a content strategy it is important to remember that (like most good things) content strategies need time to develop before they become a success. Social media lore is stacked to the brim with runaway overnight victories, but these are exceedingly rare. Practically all strong content strategies will take time to mature and develop, by extension, this means that pursuing a content strategy means committing a considerable amount of time to the effort. Create a timeline with milestones and stages of activation. This will not only help you plan, but also help evaluate your content marketing. The following is a broad outline of what this plan might look like. a. 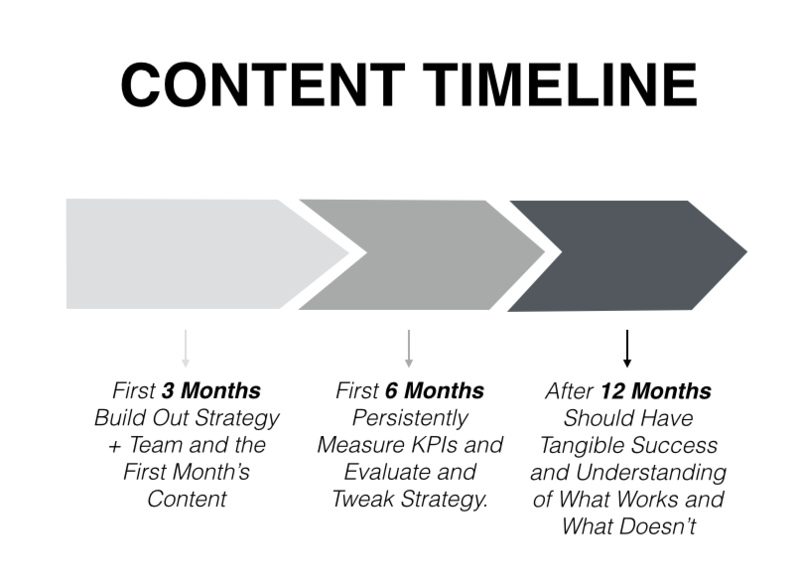 The first three months should be dedicated to formulating a one-year plan, mobilizing your team and creating at least one month of content so you can launch strong. b. Six months in should be your first evaluation to see progress both on your content objectives and on your marketing KPIs. c. Twelve months should be your broad assessment, analysis and repositioning. At this point you should have a clear understanding of what is working, what is not and how to improve going forward. Now that you’ve outlined a mission and strategic goals, and worked these into a comprehensive plan, you need someone to translate this plan into action. For this, good leadership is a must. The ideal chief of content will be versed in both content creation and marketing. After all, it will be their job to serve as the go-between for the CMO and the rest of the content team or on a smaller team, the liaison between your content efforts and the rest of the company. 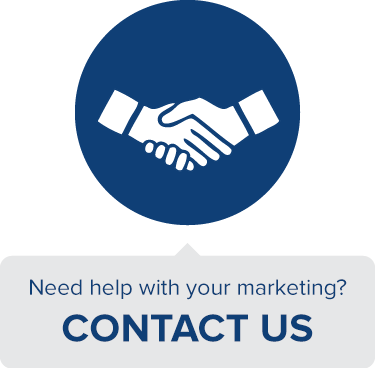 This person will help put your content plan into action and see to it that these efforts remain on course. Whether your goals are prospecting, lead-gen, brand building, etc, an editor will help guide your efforts towards creating content that achieves that is of high quality and relevant to your audience, as well as being prime for widespread distribution. 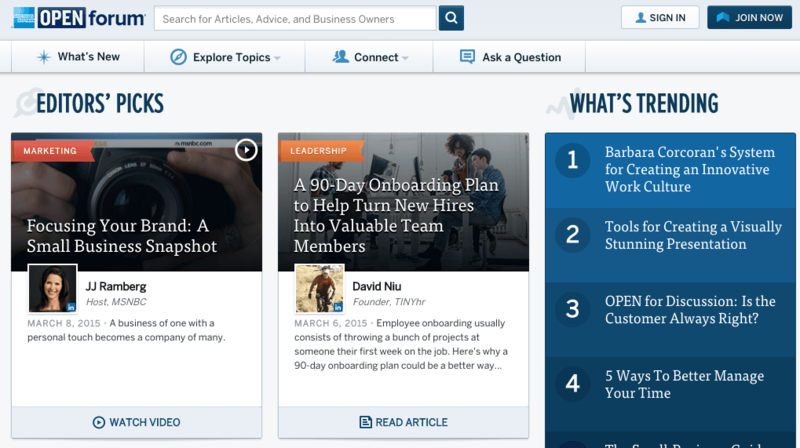 One way to drastically boost your content output potential while not burning a hole in your pocket is to leverage your employee’s expertise and incentivize them to contribute content in whatever way they can. Perhaps the biggest benefit of a chief of content or an editorial owner is their ability to recognize the overall value that internal stakeholders can contribute and the capacity to elicit that value effectively. If you are running a boot-strapped content operation, you will likely not begin with a staff full of great writers. However, your business will likely have many employees who may not know how to write incredibly well, but will be experts in their field. Very often, great writing is only one component of great content. The other, equally hard to come by aspect of course is the core insight and alignment with an overall mission. An editor will not only help rally your staff around the ideals that fuel your content strategy, but she will also identify where expertise lies and extract those core insights. A great writer and editor can take an in-person interview, phone discussion, etc.. and turn the insights there into a great article or other piece of content. These insights have the potential to be at the core of your content and all it takes is realizing and seizing upon the opportunity effectively. Involving key stakeholders also has the added benefit of prompting them to share their content in their own personal network. Especially in the beginning, this increased distribution can help your content reach critical mass. Especially for a content initiative with a constrained budget, learning how to be resourceful with re-appropriation of content can help you reach a critical mass of quality material with a very lean team. You can think of repurposing strategy as “trickle-down” content creation. Start by having your core foundational content be robust, in-depth blog posts. These, on their own, are very resource intensive and would not be sustainable to produce en masse. However, once you have the raw material from these blog posts, you can follow a simple, straightforward strategy to build them out. 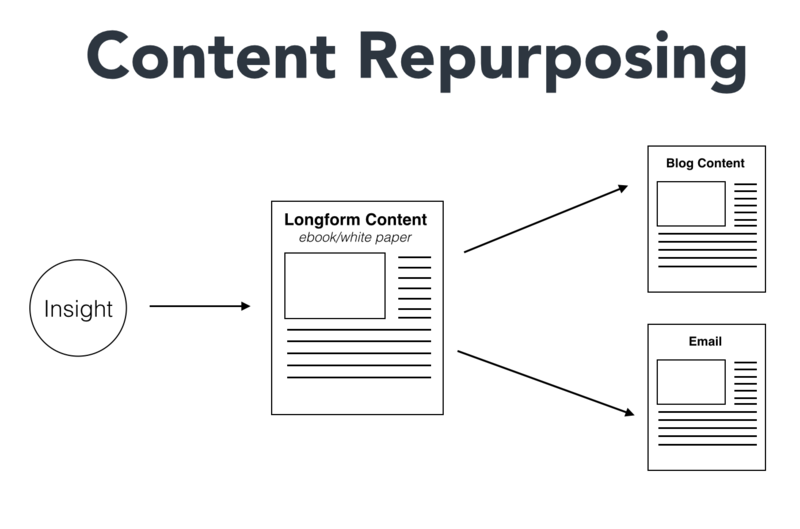 Identify evergreen, longform content, this will be the best candidate for repurposing into other forms that isn’t time sensitive. Reuse written content as the basis for a recorded podcast, a video or a webinar. Spin out an article into a longer and more detailed e-book or white paper. Think about clever formatting and design to create an almost new piece of content. Use your article as the basis for a presentation or infographic. This is especially economical if you have access to an in-house designer who can add to the ideas originally addressed in the article. Republish and update existing content that has worked well, then redistribute it with your audience as a new version. If it worked once, and enough time has passed, this can be the simplest and most efficient strategy. Distribution is a key element of content marketing, especially when you’re getting started, which many businesses seem forget to address. Barring some lucky break, you will likely not see very much in the way of results until a few months in. However, the more diligently and effectively you distribute your content with the right frequency, the more worthwhile your returns will be. As you develop your content strategy and start producing high quality content it is important to develop an efficient and scalable content distribution process as a part of that strategy. This process will vary for each type of content, but should be heavily focused on the frequency of publishing to ensure your time is split appropriately between creating the right content and distributing it where your audience is active. Many organizations overdo it and think that they have to blog three times a week or produce a video bi-monthly when they first start, but in actuality, especially in the beginning, creating one worthwhile piece of content a month and really working on how distribute it with the right audience is the best approach to start with. 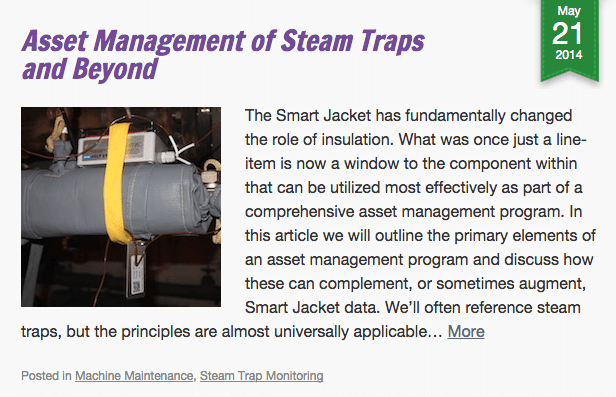 For example, Thermaxx Jackets, a medium-sized business that sells insulation blankets for piping systems, only publishes an article on their blog a few times a month likely because there is far less competition in their industry with content and they are seeing success from their blog efforts at the current frequency of publishing. Experiment like Thermaxx Jackets does to see what frequency of content publishing works for your business, its audience and competition in the industry at large. You can create the best content in the world, but if no one is reading or viewing it then it isn’t helping your business achieve its goals. When first beginning with content marketing, always create quality content, but focus more heavily on distribution of your content for the first year. Social media is tailor-made for content distribution, but simply posting your content on your Facebook page and Twitter account alone doesn’t do much. You might be tempted to blast your content on every other channel as well, but this is not advisable and doesn’t really help with the distribution of your content. Instead, choose two to three social channels and focus on building them out well by truly investing in the network. This means creating imagery, copy and using a posting strategy specifically for each social network you’re active on. Sharing the content of others that matches the interests of your audience and building relationships on these channels can help your business develop an active community genuinely interested in your content offerings on social media. You can certainly use tools like Buffer and Hootsuite to help with automating parts of the process, but don’t just auto-post on all channels and take your time to invest in the right platforms. In the beginning, experiment with a variety of social channels and monitor performance (this is where your KPIs will come in handy) to decide which platform(s) work best for you. While your strategizing earlier on should give you an idea of what channels may work best, the only way to know for sure is to test them out. Identify other established audiences that either your customer base actively interacts with or that covers topics related to the interests of your customer base, this could be a blog, publication, social network, forum or another established platform in your industry or another. Explore partnerships with blogs and publications, whether through guest blogging or content syndication to start providing value to their audience, while generating visibility to your company’s content at the same time even if it isn’t living on your own properties. There are also many communities available online across industries where you can promote your content as a greater mix of participation in that channel as well as long as you’re willing to make a time investment. For example, when trying to marketers as an audience I interact on communities like Inbound.org, Growth Hackers and Product Hunt to help put my business on the radar of other marketers, a technqiue you can do with different established communities in your industry based on the audience you’re trying to reach. No matter what methods you use to distribute your content, make sure you learn about the various online communities you are focusing on and interact with them in a meaningful way. Content marketing is not a one way street. Creating content is the hard part, but interacting and engaging your following is equally as important. Don’t just have your social account be a distribution tool, make it about your audience first, and your content second. Bryan Eisenberg, Cofounder & CMO of IdealSpot, and best-selling author of Buyer Legends: The Executive Storytellers Guide articulates this idea quite nicely. The only story that truly matters is the story that your delighted customers tell about your company – not the one you tell your customer. While getting your content out there is certainly crucial to any successful content strategy, always keep in mind that your content is only as good as how satisfying it is to your audience. A great guide on how to avoid being overly promotional is Gary Vaynerchuck’s book Jab, Jab, Jab, Right Hook. Here, he outlines an approach to social where there are three generous, totally conversational posts followed by one promotional post. This is not meant to be a hard and fast rule, but rather an illustration of the proper cadence for social media distribution. A great analogy made by the legendary Guy Kawasaki is what he calls the “NPR Principle.” Guy uses the analogy of NPR who makes quality content 365 days a year and in so doing, earn the right to run a pledge drive once or twice a year. The combination of all these lessons is that you must not only earn your reputation, you must also earn your right to be promotional with your content at all. These recommendations might seem a bit overwhelming, and the reality is that content marketing is no small endeavor. However, by tackling these steps methodically by devoting the proper time and effort to building out and implementing your content strategy, you will help ensure that you do it right the first time. 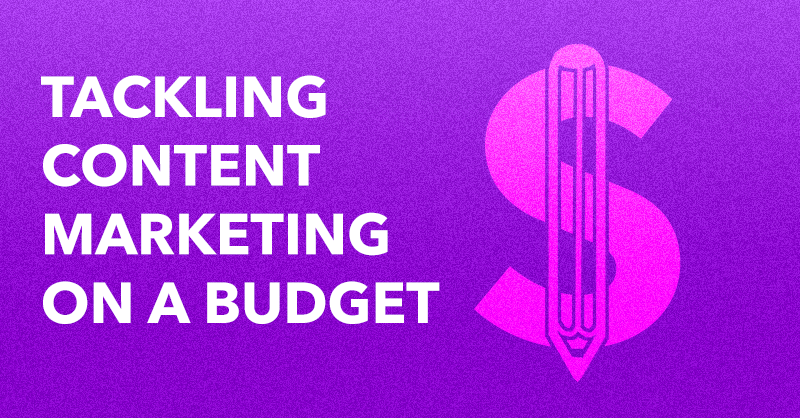 In reality, the biggest secret to tackling content marketing on a budget is really just a combination of diligence and follow-through paired with a clear direction.